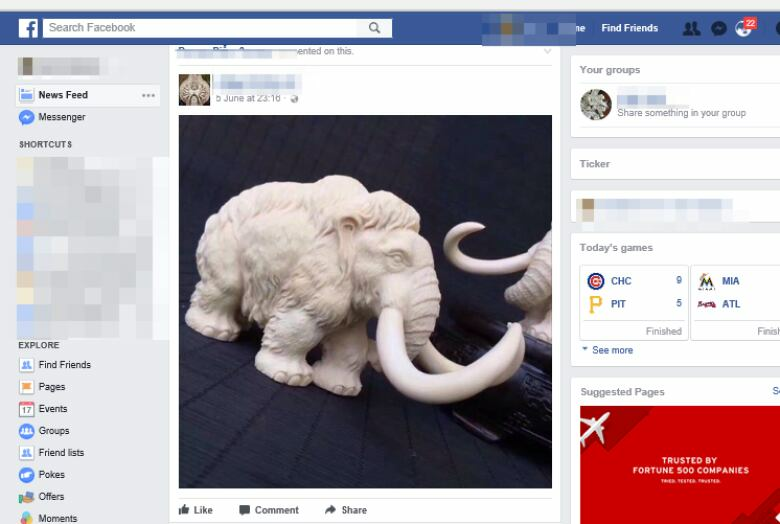 Animal rights groups are fighting to hold Facebook accountable for hosting pages that facilitate the sale of ivory and other illegal animal parts. 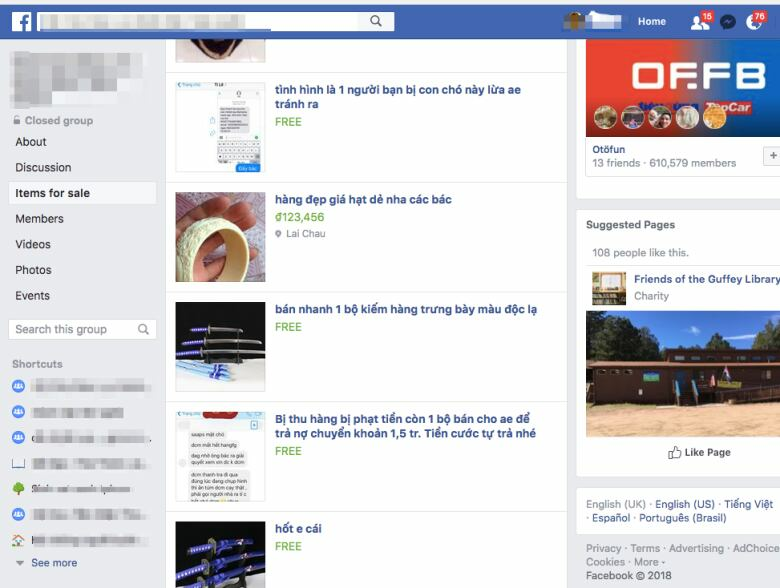 Just beyond the wedding photos and cat videos on your Facebook feed, a covert marketplace for illegal wildlife smugglers is thriving, according to an animal rights group. 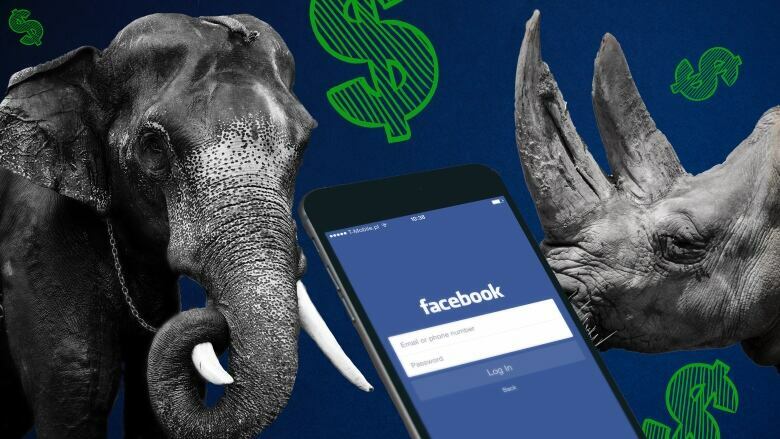 Wildlife traffickers sell tiger skins, rare reptiles, bear claws and ivory tusks in private, hidden groups on Facebook and other social media platforms, said Gretchen Peters, executive director of the Center on Illicit Networks and Transnational Organized Crime (CINTOC). They facilitate the transactions using messaging apps such as Messenger, WhatsApp and WeChat. "It's my opinion that Facebook is literally facilitating the extinction of the elephant," Peters said. When users are invited to the clandestine groups, they're shown photos of ivory bangles and claws for purchase. Largely based in Southeast Asia, these groups operate with little oversight by the platforms that facilitate them, Peters alleged. Her organization has provided support and data analysis to the National Whistleblower Center in Washington, D.C., which filed a complaint against Facebook in August 2017 with the U.S. Securities and Exchange Commission (SEC.) The groups are betting that this unconventional approach can help end the trade of endangered animal species online. "Under SEC regulations, a publicly listed firm cannot profit off of illegal activity," Peters told CBC Radio's Day 6 host Brent Bambury. "As any user scrolls through their Facebook feed, there are ads targeted to those users that pop up next to the images that appear." When those ads appear next to rhino horns for sale, Peters argued, the company is making money. Peters accused the world's largest social network of making few efforts to stop poachers on its platform despite their knowledge of animal trafficking. In 2016, animal rights groups hosted a meeting to discuss the issue in The Hague. Peters said Facebook didn't send a representative. In April, during congressional hearings following revelations that Cambridge Analytica sold millions of Facebook users' data, company CEO Mark Zuckerberg was asked by Georgia congressman Buddy Carter if he knew ivory was being sold on his social network. 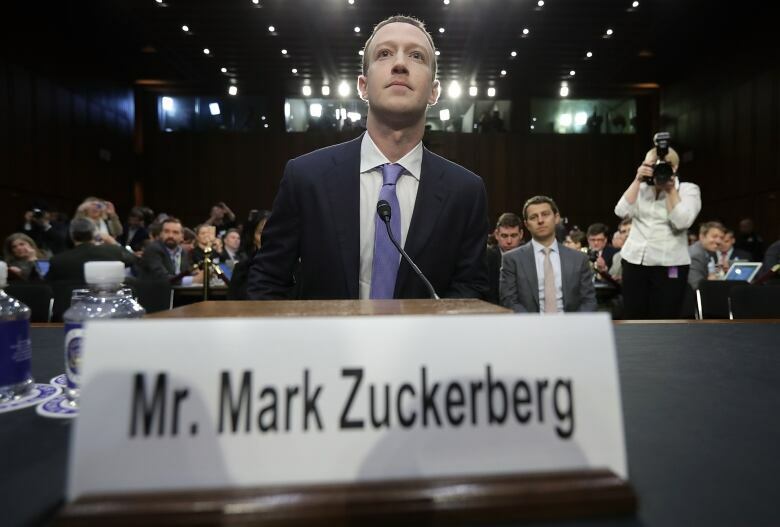 "Congressman, I have not heard that," Zuckerberg replied. According to the Facebook's Community Standards, illegal activity involving animals is forbidden on the platform. 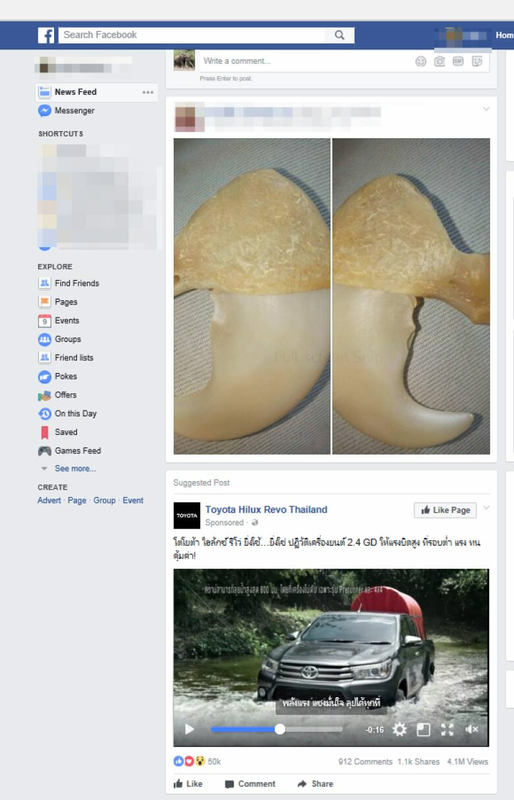 "Our Community Standards do not allow for poaching, the sale of wildlife, endangered species or their parts, and we immediately remove this material as soon as we are aware," a Facebook spokesperson told Day 6 in an email. "We have many systems in place to prevent the sale of illegal goods, and do not allow ads around the sale of endangered animals." That's disingenuous, Peters said, as Facebook often relies on users to flag problematic content. "If there's a private group — or a secret group — the people inside that group are hardly going to be flagging problem content if they're there to buy those illegal goods." She said that puts the onus on "undercover" users to enter these groups and report illegal behaviour. Instead, Peters wants Facebook, and platforms like it, to hand over data about criminal activity to law enforcement agencies. The SEC complaint is an unusual conservation strategy, but one that Peters believes will get the attention of lawmakers. "We see it as a backdoor to get in and really have a strategic impact on saving some of these endangered species," she said. This action, she argued, is more likely to push tech companies to be more accountable for what happens on their services. Peters said the complaint could also be expanded to address other online criminal activities, such as sales of illegal opioids. "As we broaden the scope of what the complaint is about, I think we will start getting more and more government attention to it and more and more constituencies that are pushing the SEC to take action," she said. The SEC has not yet released a ruling. Peters recognizes that barring traffickers from social media platforms won't end the online animal trade. Traffickers will likely move their business to the so-called dark web — encrypted websites that can only be accessed using specific software — where illegal activity, including the drug trade, is rampant. "There's something wrong with the way their system is set up now, and I feel like there needs to be some adult supervision of what's going on on these platforms."